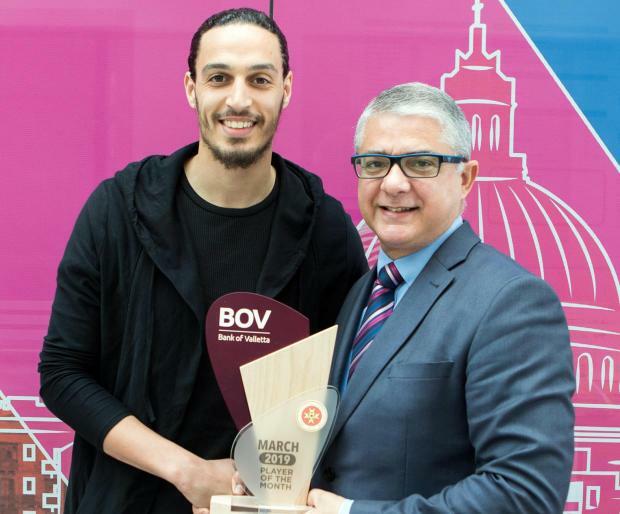 Sliema Wanderers' Younes Marzouk is named the BOV Player of the Month for March 2019. The French born player on loan from FC Lugano made his mark in the Sliema ranks especially during March where he scored four of his eight goals including a very important one against league contenders Hibernians. Leading 1-0 against Hibernians, Marzouk received the ball from a short corner on minute 41 and let fly an audacious cross-shot that finished behind a clueless Marko Jovicic. In Sliema's match against Mosta, Marzouk was the protagonist scoring two of Sliema's three goals. Marzouk also put his name on the scoresheet against Ħamrun Spartans, hitting a scorcher in a match where he was also voted BOV Player of the Match.